And yet another shawl from my needles. 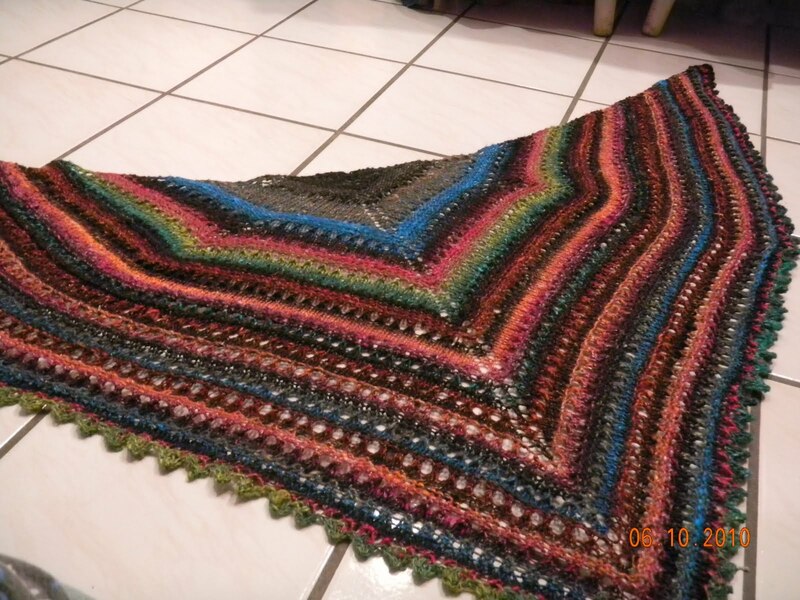 I actually started this shawl way back in December. 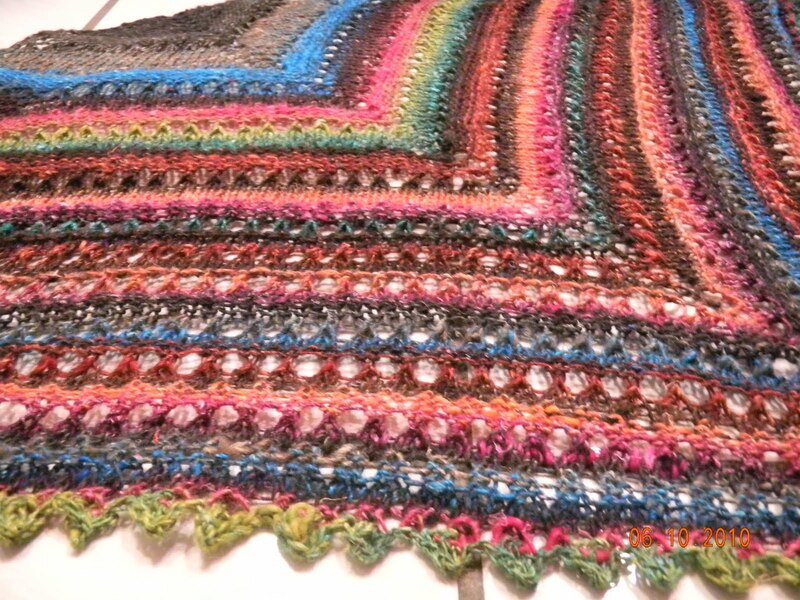 It is knitted out of Noro’s Silk Garden Sock yarn. I had to tweak the picot edge a bit to get it the way I wanted. I really like the little nubs it has on the edge. Another possibility for my travels! You can see the little corners where I threw in some increases for the shoulder to help it stay on. I think I will really like it, with those increases it helps it stay on and lay nicely across the shoulders. I just ordered the yarn to make this…yours is beautiful. Thanks for the inspiration.